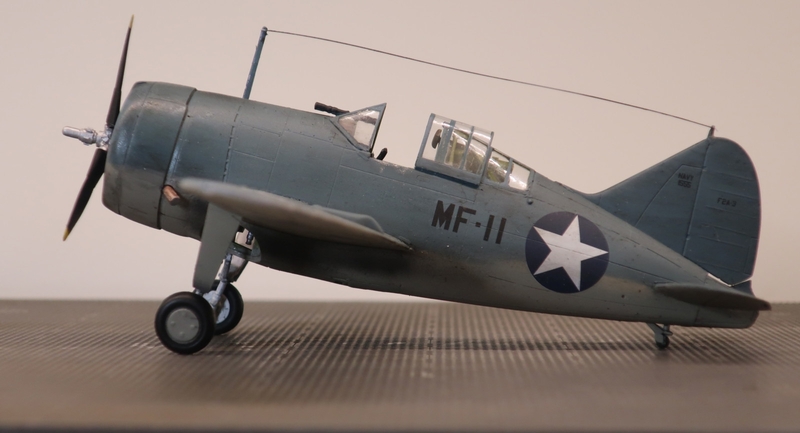 The Brewster F2A-3 Buffalo was the last version of the Buffalo, a fighter that was getting obsolete by the time U.S.A. entered WWII. 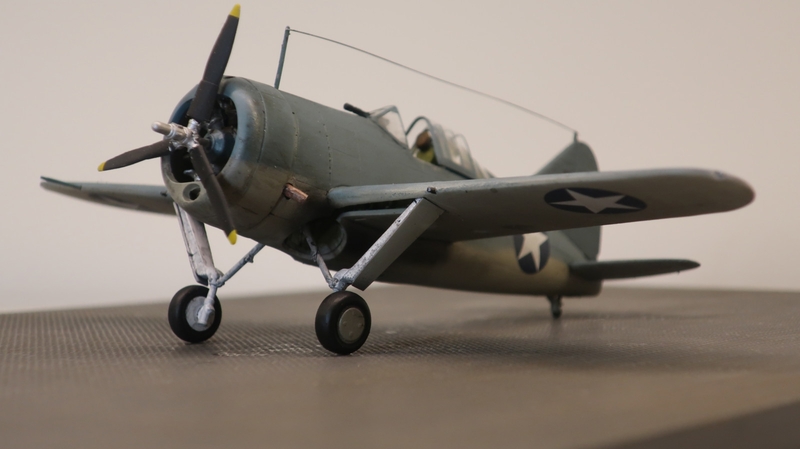 In 1939 the Buffalo won a competition over the Grumman F4F Wildcat to become the first monoplane fighter in the US Navy. It was sold to several nations, including Finland, Belgium, Britain and the Netherlands and came into the heat at several theatres during the war. Most successful it was in Finland where it on average shot down 32 Soviet aircraft to one lost Buffalo. Against the Japanese it was no match for the Mitsubishi A6M Zero but still shot down Japanese aircraft at a ratio of 2 to 1. 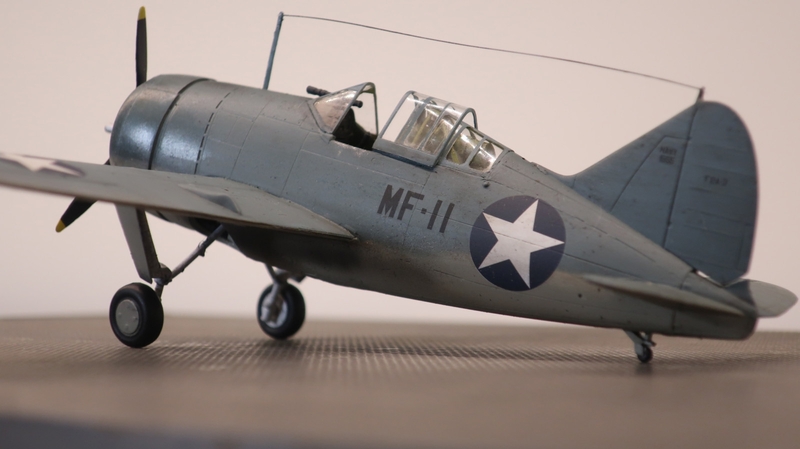 In 1941 the US Navy placed an order for 108 F2A-3 Buffalo's, a version which had several "improvements" which made it even more cumbersome than it's predecessors. This became evident at Midway in June 1942 when they performed badly against the Zeroes. 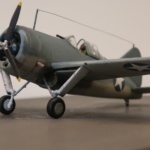 Most planes were demoted to trainers in the US and replaced by Grumman F4F Wildcats. Now you may wonder why I bother to write a review of this kit as it's out of commission and can only be found on auction sites etc. It's a good question I can't answer really. 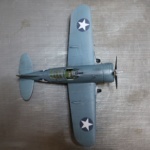 Had it not been for Facebook I'd been writing a review of the Brewster B-339 Buffalo from Tamiya (it might come later). 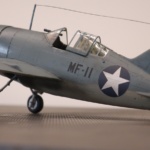 I had bought this to build a Buffalo at the Battle Of Midway when someone pointed out that this version differs from the F2A-2's used at Midway (amongst other things it's fuselage is longer than the B-339). So out hunting the net and I found this at kitsforcash.com. Well lets start. The base kit feels older than it's introduction year, 2005. In many aspects it reminds me of a kit from the 1970s. But they've added some resin parts and etched metal details to spice it up. In some aspects it feels like putting make up on a pig. 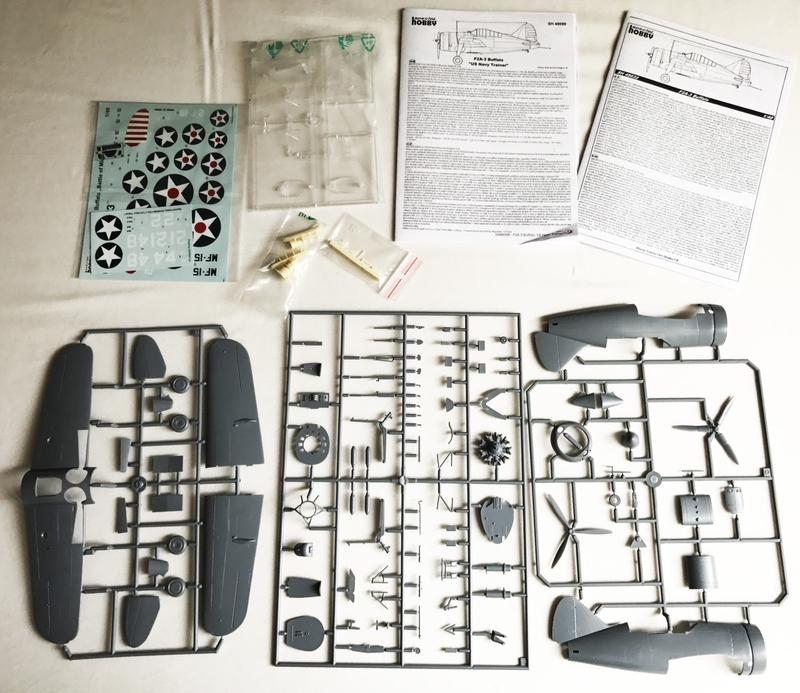 The kit is really from Classic Airframes but this version is released under the Special Hobby brand. 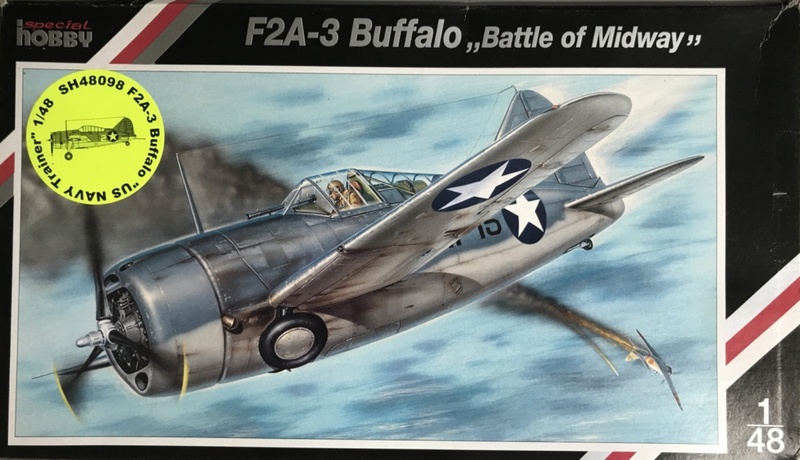 The kit is basically the "Battle Of Midway" issue with decals for two individuals from Midway, one pre war individual based on USS Lexington and one individual from Hawaii before shipment to Midway. 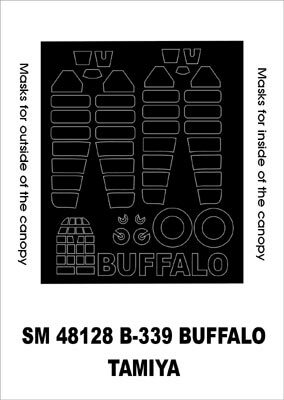 Then they have added an extra building instruction (basically the original with another "ending"), an extra decal sheet with markings for four more individuals and then slapped a sticker on the box saying: Buffalo "US NAVY Trainer". Yes, you've guessed it, there is no paint mask for available for this kit. But still, it works. The inside is a bit pottering, specially as the any support holes or edges are mostly absent. The instructions is not always crystal clear either. Some imagination and experience is recommended. 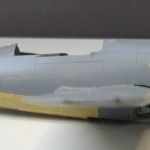 The resin and metal parts are so small and situated in places that are hard to see in the finished kit. 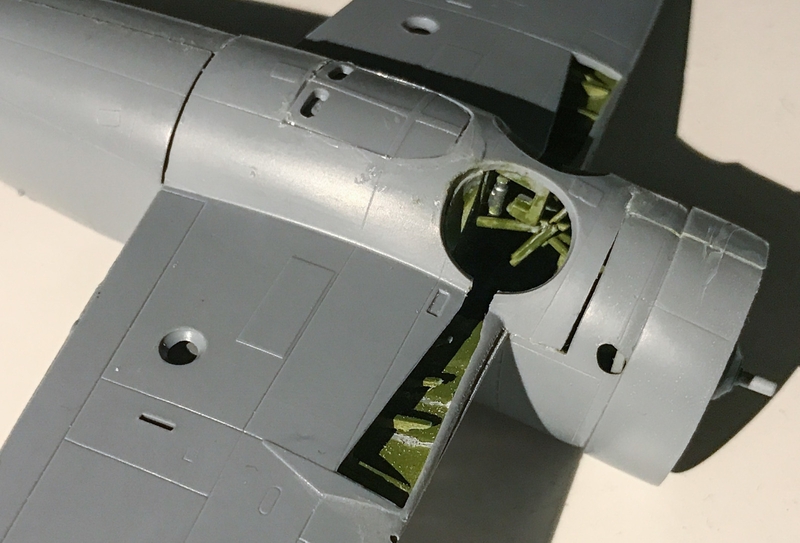 I started with the two resin parts in the landing gear bays in the wings. They turned out to be very fragile. It was also hard to find the right placement for them as you have to glue them with CA-glue it was kind of important. 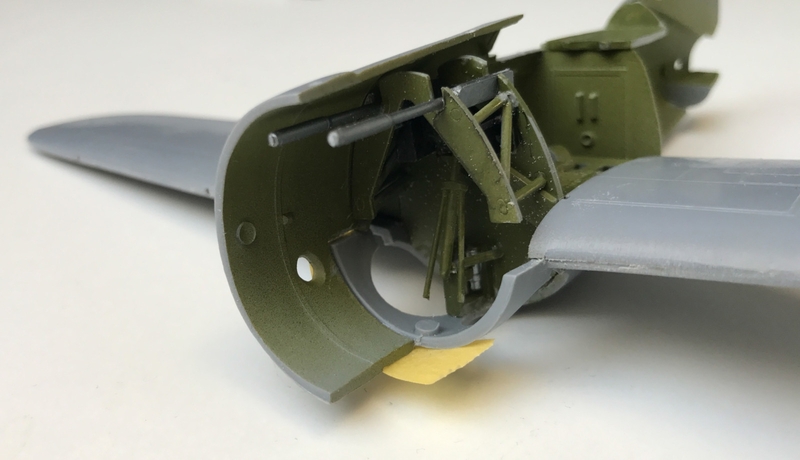 I'll be honest and confess to giving up on some of the smallest details in the cockpit and concentrated on the visible parts. 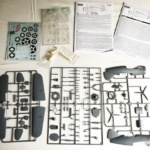 This meant I soon arrived at putting the wings and fuselage together. 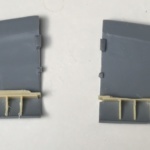 This is another part that make the shortcomings of this kit apparent. I spent some time to test fit and refit the parts to no avail. 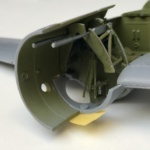 The wings comes with the lower part in one piece with a connecting part of the lower fuselage. Why they have chosen this is beyond me, specially on an aircraft that essentially is a barrel with a wing on either side. Still, Tamiya has the same solution but I'll expect that to have a better fit. It took plenty of putty, filing an sanding to get this kit in order. Adding the mask for the cockpit is almost necessary. I would not have liked to cut these masks by hand. Specially as the the detailing on the sliding hood is on the inside. 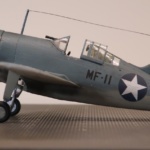 The decals are OK. As stated in the head this review of the kit include decals for seven individuals (or eight to be more accurate counting an extra digit included for the Battle Of Midway version). I chose the second Midway version. 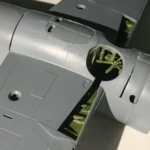 The decals adhere well and with some Microsol and a coat of matt varnish they look painted on the surface. 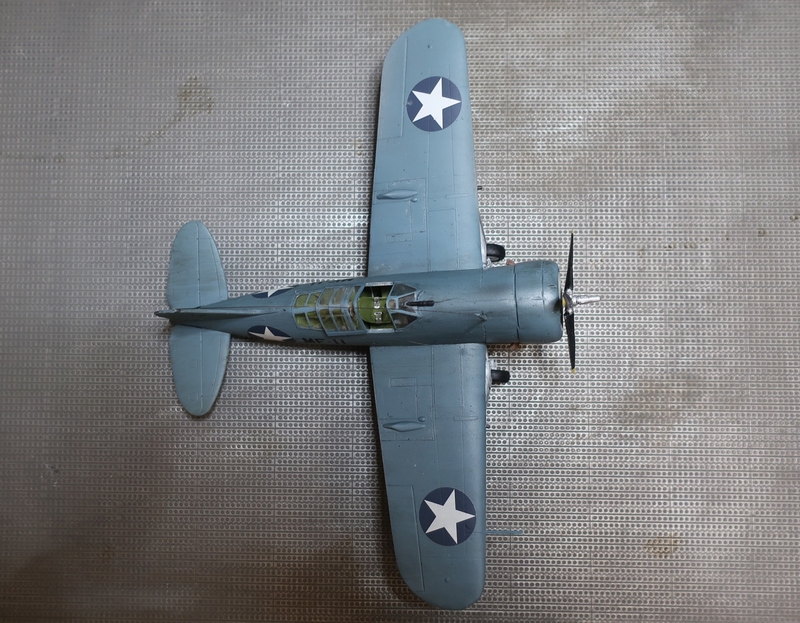 Adding the landing gear, propeller, some final details and a light weathering and the kit is done. This kit really reminds me of my early modelling days some 40+ years ago. Simple in details and some really bad fits. 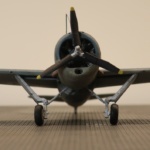 Still it's the only kit of the F2A-3 which it it self was a failed version. The only available kit in this Scale. Considering the moulds age it's OK. The instructions are not always obvious and some guess work is needed (or good reference pics).